THE NEW SAUCONY PEREGRINE 8 HAS ARRIVED! Ready to take things off-road? You are now. The PWRTRAC outsole on the Saucony Peregrine 8 has dialed in traction across a variety of terrains. And with EVERUN you have all the underfoot protection and cushion you need to tackle the trail ahead. 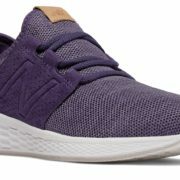 4mm drop: Shoes with a 4mm heel-to-toe offset deliver a more natural ride, letting your feet and body do more work while relying less on the shoes’ cushioning and stability features. All Terrain: High traction outsoles, protective overlays and rugged construction take the performance of our RunAnyWhere line to the next level. This is what happens when real runners make trail shoes. Everrun: A breakthrough in cushioning. Livelier and more responsive, with smoother landings and stronger takeoff. PWRTRAC: Tacky, durable rubber providing exceptional traction and abrasion resistance. Stop in and try on a pair of Saucony Peregrine 8 trail running shoes today! http://www.medvedrunwalk.com/wp-content/uploads/2017/03/WhiteRedTransparentLargeM2.png 0 0 medved http://www.medvedrunwalk.com/wp-content/uploads/2017/03/WhiteRedTransparentLargeM2.png medved2017-12-28 10:43:422018-01-31 10:33:05THE NEW SAUCONY PEREGRINE 8 HAS ARRIVED! Kiss Me, I'm a Runner! 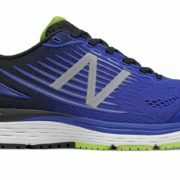 The New Balance 880v8 Has Arrived! 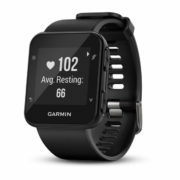 Garmin Forerunner 35: Price Reduction! Keep in touch. Signup for our Newsletter. Copyright © 2011 - 2017 Medved Running & Walking Outfitters. All rights reserved.